Z-Band has been designing television and video distribution systems since 1999 for multiple market applications. In almost two decades of doing business, Z-Band has seen a tremendous change take place in the industry and is changing to meet these new industry needs. Z-Band takes pride in products, and ability to work with customers to provide a reliable solution to their video problems. Z-Band products cover an array of applications; from simplifying television distribution, to enabling webcasting and Digital Signage. Z-Band will consult with you to help you find the best solution to your needs. Z-TV is a modern RF video distribution system that sends CATV/MATV video over CAT 6 cable. Z-TV was designed to help customers eliminate coax, achieving convergence of all media onto a single cabling infrastructure. Z-Band’s Z-IP system offers an end-to-end, enterprise-level modular IPTV platform that includes highly scalable, standards-based encoding, decoding, management, recording, and playback to multiple viewing (desktops, TVs and mobile) devices. Depending on the application, you can get broadcast-quality unicast or multicast video distribution in multiple SD and HD formats. Hospitals can use Z-Band systems to provide patients with information regarding their treatment protocol or medications, as well as in-room entertainment as they are recovering. 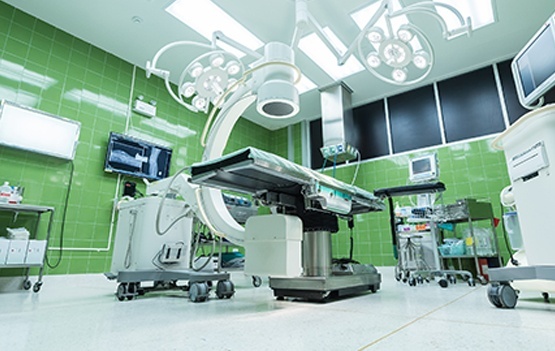 Z-Band systems can provide dependable HDTV in patient rooms, family lounges and cafeterias or deliver video for patient health care and family service information directly to the patient’s room. Contact us today to see how Z-Band's video distribution systems can improve your patient, guest and staff experience.